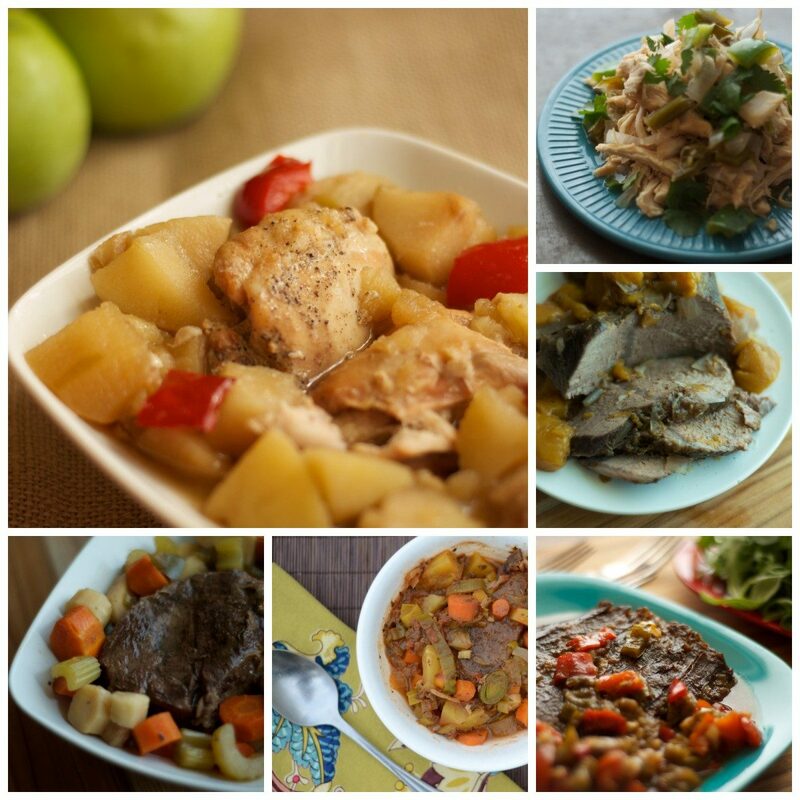 Back to School Slow Cooker Freezer Recipes! 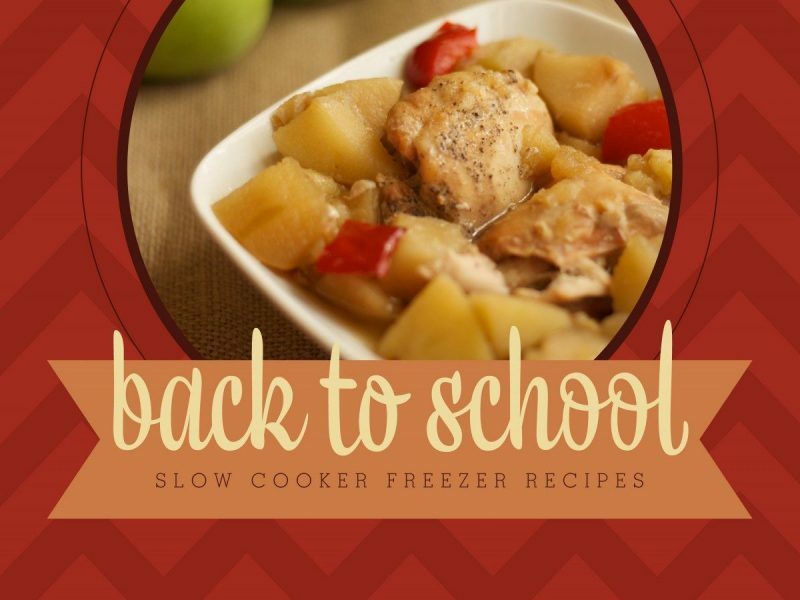 Back to School Slow Cooker Freezer Recipes is a mini eCookbook, perfect for your computer or tablet. And if you are old school and like to print things out, included in your purchase is a simple, printer friendly version. Buy your copy right now here for only $4.99! I promise that your whole family will love them. Yes, not just you, you awesome health-conscious mama, but your cranky husband, your moody toddler or even your moody teenager who normally want nothing to do with your healthy-eating shenanigans. It’s great for babies, too. But if are unlike me and don’t think spoon-feeding babies is like Chinese water torture, you can puree a small portions of a slow cooker freezer recipe with an immersion blender and spoon fed them their dinner. And boom! 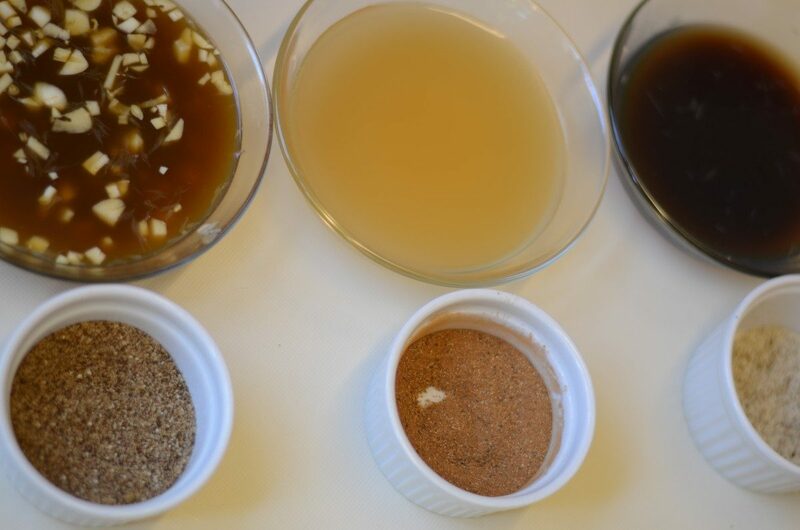 Not only are you putting a healthy, made-fromscratch meal on the table each night, your making baby food too. Watch out world, this mama is about to get her kitchen under control! This ebook is set up just like the first one. A little introductory information, and grocery lists for three recipes at a time, recipes, a notes section and custom freezer labels. As you know from the first cookbook, I am a self-taught home cook, and I am still learning every day. That means they are perfect for beginners, anyone can make these recipes. The first cookbook has great recipes, and literally thousands upon thousands have raved about them, but honestly the recipes in this new ecookbook are even tastier and healthier (no grains-even corn or legumes and no diary). These recipes all got voted as favorites from my husband, in the last year of testing going on at my house. I’ve taken my cooking to the next level for sure! 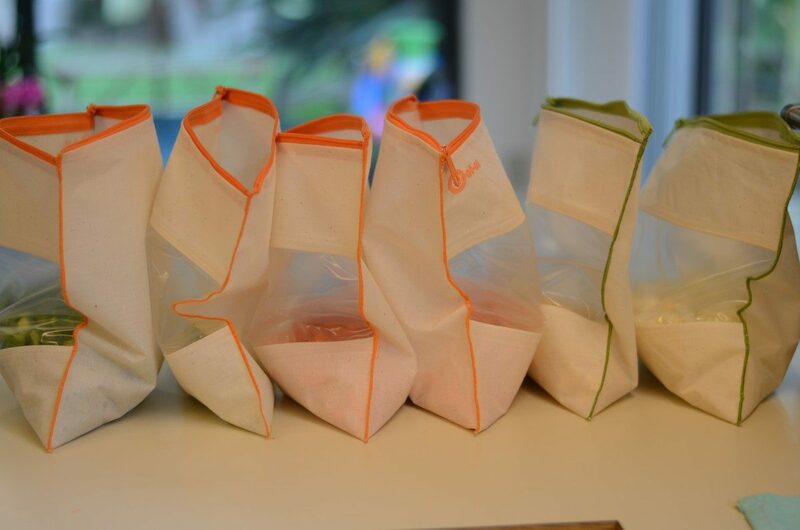 Assemble a months worth of food in just an afternoon. If you are new around here and have never tried Slow Cooker Freezer Recipes before, please let me blow your mind: behold, I give you a way to put a month’s worth of solid, home-made, healthy, made from scratch meals on the table, every night for your family in just a few hours. Not only will it take you two hours or less to assemble the meals, it will take you 5 minutes to “cook” them because all you gotta do is dump a bag of ingredients into a slow cooker the day you want to have dinner ready, turn on the slow cooker and walk away. Slow cooker freezer recipes changed my life forever. I now spend my evenings going for a walk, having a glass of wine and playing puzzles with my daughter, instead of running around like a crazy person trying to get dinner on the table and not kill someone in the process. And you can too. Your pass to freedom awaits. Here’s the six delicious recipes you’ll get in this book. 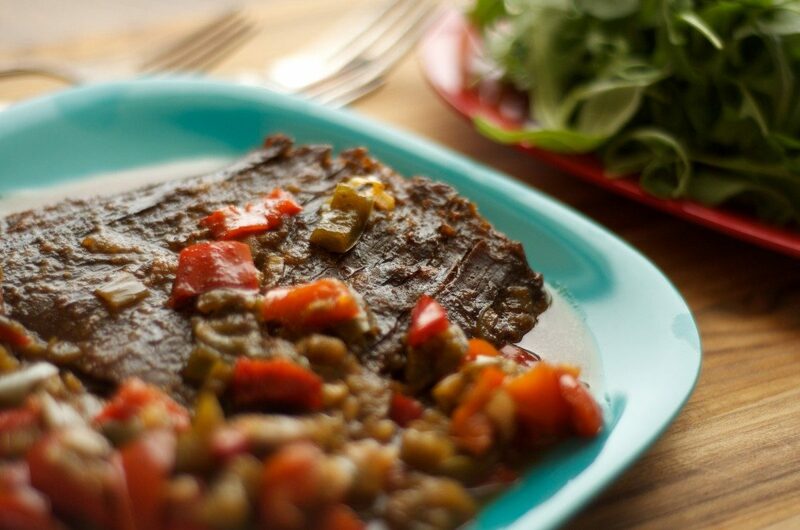 As before, my recipes are meat-and-veggies heavy, gluten-free, grain-free and dairy-free. They are all Paleo, Whole30, Weston A. Price, Real Food, GAPS, friendly recipes. And because you are such an awesome mama and I love each and every one of you from the bottom of my heart, till August 14th only, if you buy my new cookbook, I’m including my Slow Cooker Tips & Tricks PDF and a 2 hour audio lesson. In the lesson you will hear a webinar class I did explaining how to do this style of cooking, and answering questions from readers ranging from never tried this way of cooking before, to more advanced trouble shooting questions. Remember that webinar I did earlier in the year? That everyone went bananas about to sign up for and then raved about and said it was awesome and then everyone who didn’t get attend begged me to send them a file? THIS IS IT! Get it now, before it’s put away in the M+BL vault! Get your freezer under control, organized and packed to the rim before the back to school craziness starts. *No more picking up McDonalds on the way home from piano or football practice. *No more picking up greasy pizza on the way home from work because you are exhausted. *No more serving packaged frozen foods full of chemicals and sodium. 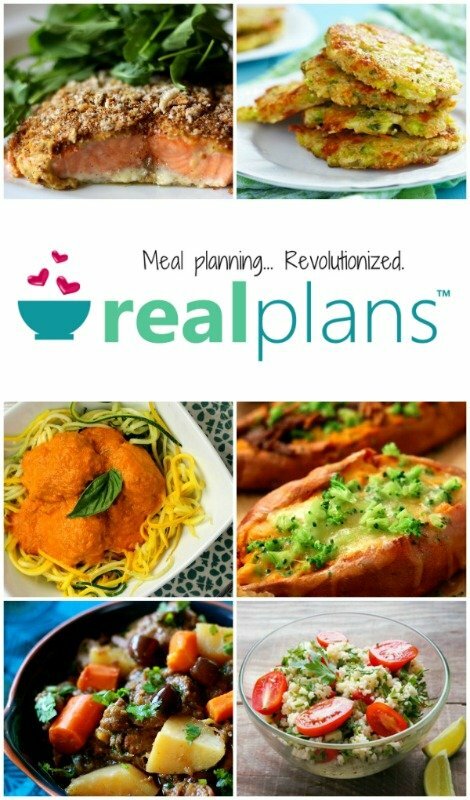 *No more slaving in your kitchen for hours to get a homemade, healthy dinner on the table. Wholesome, easy meals for your family can be yours starting now. I hope your family loves these recipes and I hope you have as much fun making them as I do. 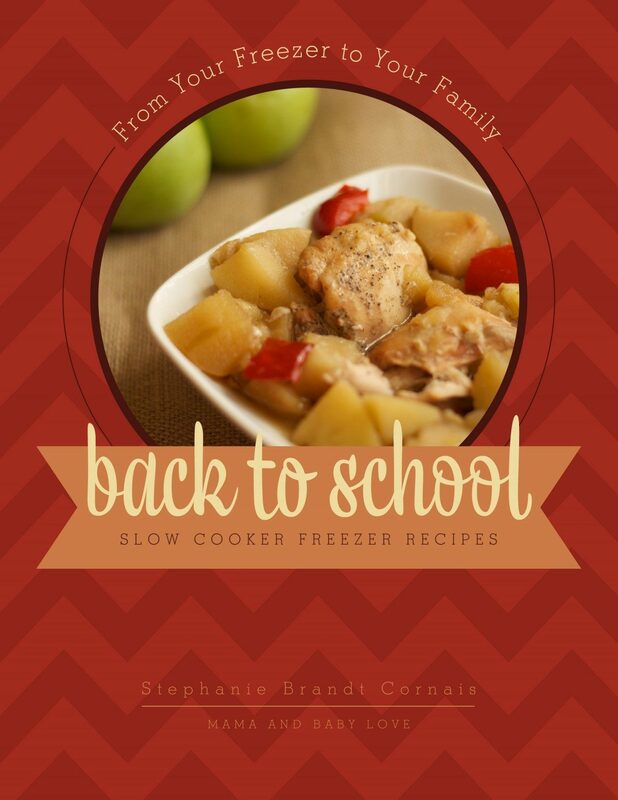 Click the button below to order and get your instant download of Back to School Slow Cooker Freezer Recipes. Assembly is so easy. 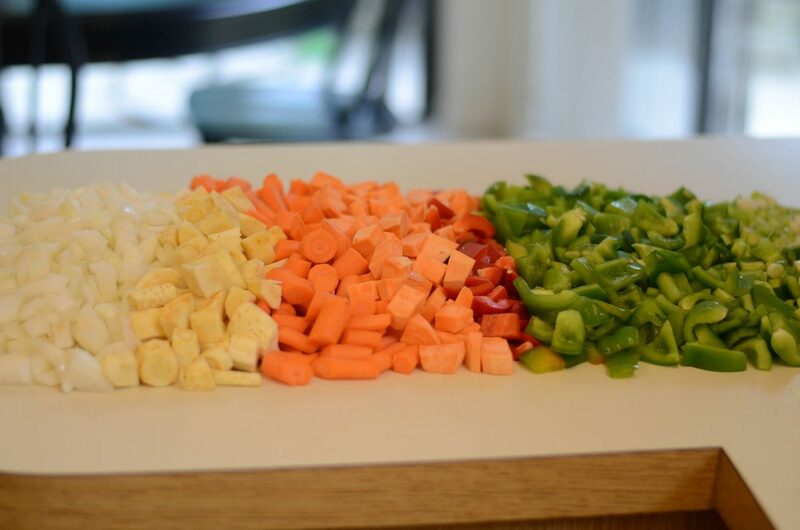 Just chop all your veggies first. Put them into gallon freezer bags. 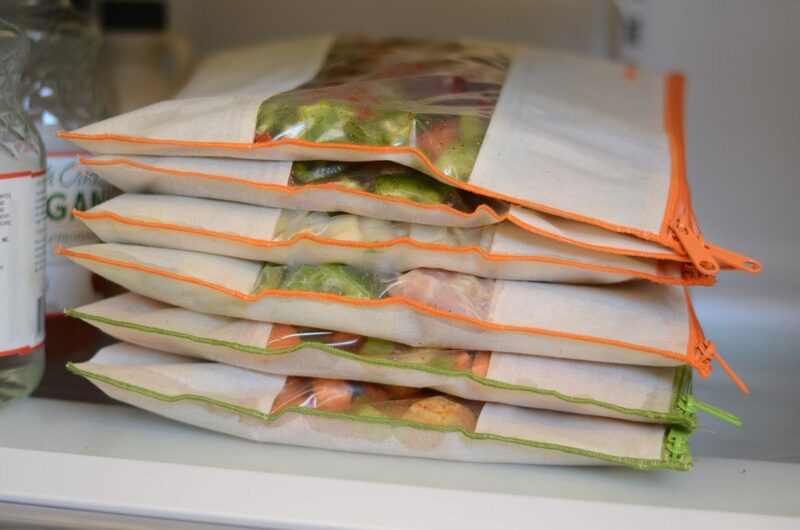 Plastic freezer bags or resuable bags. 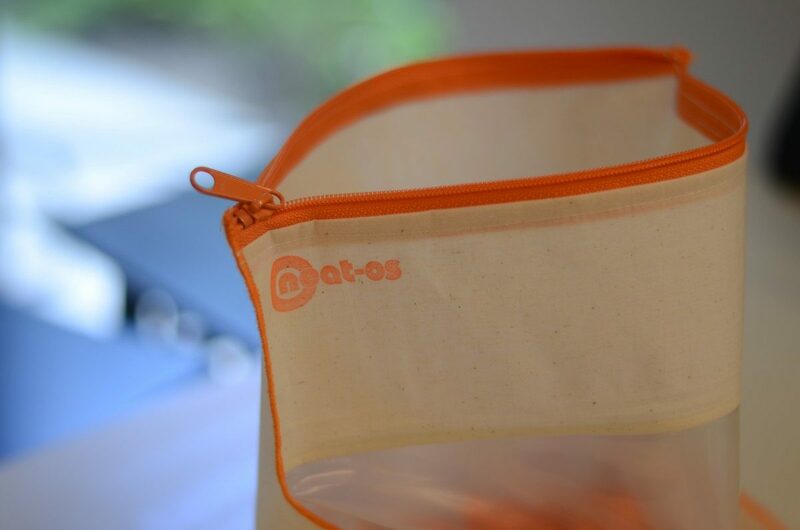 Neat-Os are my favorite reusable bags. Once veggies are the bags. I add the spices and flavors. Then I add the meat, mix it up real good and lay them flat like a brick. 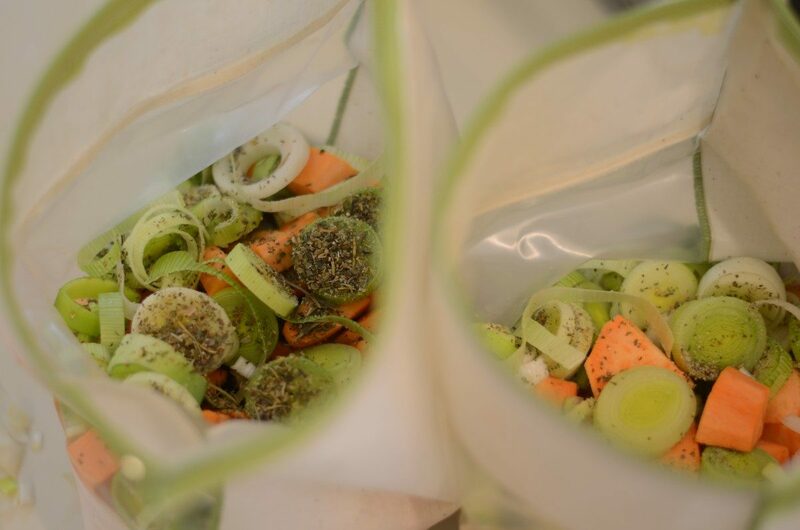 Then the day I want to have dinner ready, I pull out a bag and dump the contents into my slow cooker. I turn on my slow cooker and forget about it till dinner time. It is a game changer and a life saver! Two sweet mammas in my area have faced crises (one is in the final stages of cancer, and one is facing her one year old’s surgery for his brain tumor). My church group used crock pot recipes from your site to make batches of freezer stocking meals for their families, and it was a HUGE blessing to have easy, nourishing, allergy free meals at our fingertips to help love these families. You probably get this all the time but I just wanted to say thank you for sharing your cookbooks. I recently went back to work (full time) after having my baby boy Henry (our first child). I was really worried time/cooking a healthy meal after work. Dinner is a big deal in our house. We sit down together almost every night and talk about our day, etc. I found your cookbook on the 100 Days of Real Food website and purchased it along with a nice programmable crock pot. 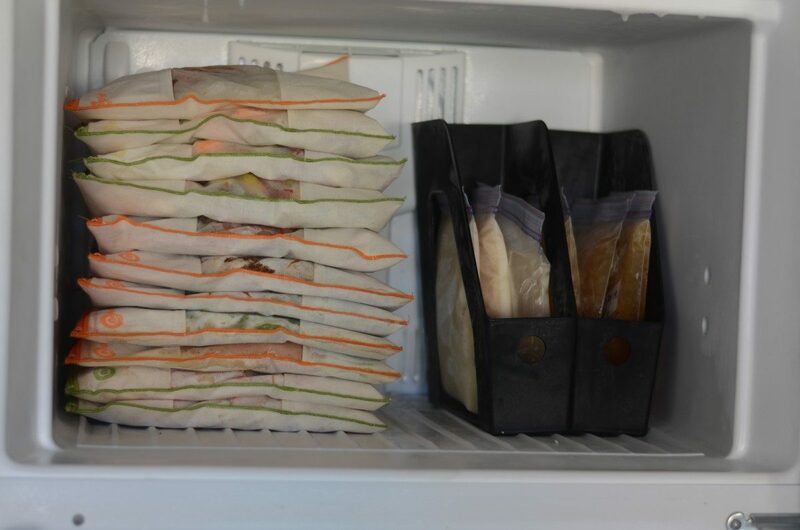 During my maternity leave, I froze as many dinners as I could. Your recipes have been a HUGE help! They are healthy and delish and leave me more time to spend with my sweet baby and awesome husband. I just bought your latest cookbook and cannot wait to try those recipes as well. My husband shops for all the food and I assemble it. We have a great system. Thank you again and enjoy the rest of your summer!-Rachel H.